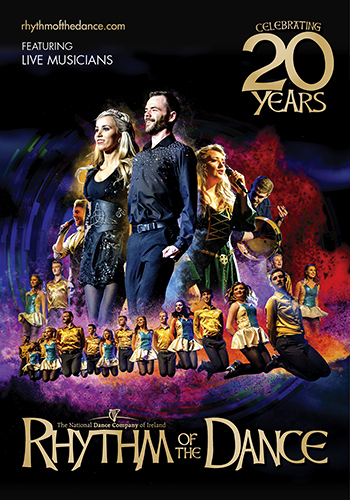 For over 20 years, Rhythm of the Dance has brought the history of the Irish Celts to millions of fans around the globe as one of the top Irish step shows in the world. Champion dancers and brilliantly talented musicians combine to deliver a high-energy production, complete with blazing footwork, soaring vocals and spectacular musicianship. Expertly merging the past with the present, this constantly evolving show promises to wow theatergoers. Irish eyes won’t be the only ones smiling during this rhythmic extravaganza!